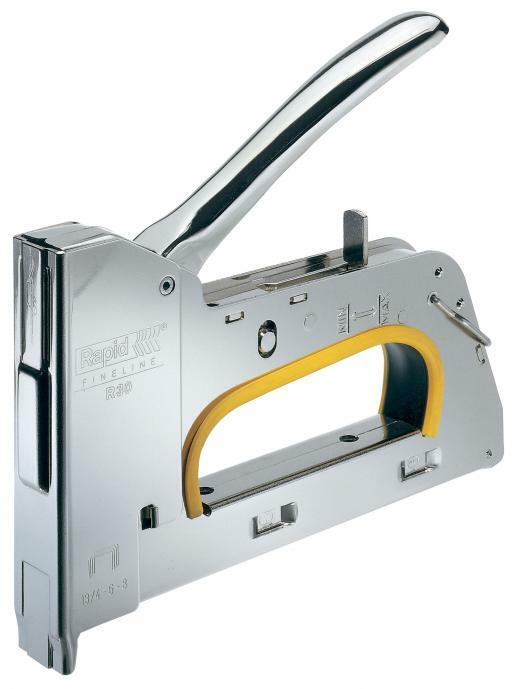 Precision performance, professional level staple gun that features a long, extended nose. Ideal for use on uneven, awkward surfaces where a standart staple gun might have difficulty accessing. - 40% easier to operate thanks to a patented easy to squeeze trigger with 3-step force adjuster. - Projection nose to acces corner. Applications: Suitable for fastening of weather strips, textiles and netting.